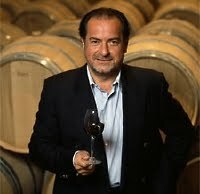 Most people who drink wine but don’t “follow” it haven’t heard of Michel Rolland and probably won’t be interested in the controversy that occasionally swirls around him. But he’s a symbol of how the world of wine is consolidating, and the degree to which some winemakers are influencing wines to a remarkable degree. The question is, is this influence good for us consumers? Are a lot of formerly different and interesting wines starting to taste identical – and boring – on account of guys like Michel? Or is this just overstated, overly-dramatic hyperbole by people whose wines aren’t getting the big scores? For those of us who are immersed in this stuff (get it? ), everywhere we turn there’s another article about Rolland putting his personal mark on wines from every continent. Much of the coverage is fawning and borders on idolatry; I guess that’s to be expected in the wine world, where winemakers and winery founders are the equivalent of rock stars. 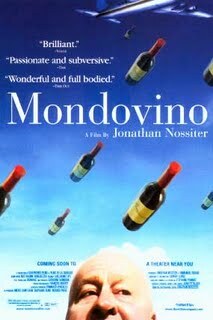 McIntyre also notes that the criticism emerged after Rolland was prominently featured in 2004’s Mondovino, a documentary that seems to suggest that winemakers increasingly focus solely on getting high ratings from the big consumer wine magazines, losing their souls in the process. It also suggests that small, “artisanal” producers are being forced out of the business by big, internal wine conglomerates. Having said that, McIntyre avoided a genuinely deep look at Rolland in his article, and he’s simply wrong when he says that Rolland is controversial because of Mondovino; that was a documentary, and very few people saw it. It’s not the film but what it suggests that stirred things up: as the wine business “globalizes” like information technology, diversity in winemaking is going out the window. That’s a strong message there: What’s better is what Mr. Rolland says is better. And winemakers had “better” listen. The Wines & Vines piece was especially telling because, while Kluge Estate Winery owner Patricia Kluge disputed that Rolland makes the same wine everywhere, the article seems not to be about what she, winemaker Charles Gendot, or CEO William Moses want, but what Monsieur Rolland wants: “For the long term, Rolland’s goal at Kluge Estate is to unlock the potential of the Carter Mountain soil.” His goal? Have they none for their property and their wines? To be sure, Rolland’s insight and expertness are real, and earned. I’d love to have his palate, his knowledge of grape growing and his years of experience. And, well, he’s rich, lives in Bordeaux, and makes a living tasting wines, walking the vineyards, and gently barking “suggestions” to the royalty of the wine world. What’s not to like about all of that? And the issue about micro-oxygenation is just a sideshow…that’s just a technique that many wineries use from time to time. The real issue is simple and important, and it’s fair to ask: Can anyone who touches 100 wineries and countless wines every year avoid – even if he tries – putting a very personal, singular stamp on what otherwise might be very different wines? I kinda think diversity in wine is good. You?